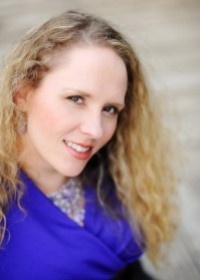 Andrea is an award-winning author of contemporary and paranormal romance. She has been devouring books since she learned to read at the age of three. An old portable typewriter got her started writing in her room at ten and she’s been writing ever since. Her practical nature led her to pursue a master’s degree and a career that would pay the bills, but the writing bug continued to bite. After eight years and eleven completed manuscripts, she finally made the leap and got ‘the call’ from Harlequin Desire on May 31, 2011. From there, she’s never looked back with a long list of writing credits since that day. She always dreamed of seeing her work in print and is thrilled to be able to share her special blend of sensuality and dry, sarcastic humor with the world. A dedicated West Coast girl transplanted into the Deep South, Andrea is constantly trying to convince herself she likes sweet tea and biscuits when she really likes hot tea (with cream and sugar) and bagels. She has yet to find her own HEA, but in the meantime, she cuddles with her two dogs that include a Siberian Husky that sheds like nobody’s business. She loves to hear from readers, so if you enjoy her work, tell her on her Facebook Fan Page or Twitter and if you feel inclined – send lint rollers!